How many of you like a fast-food meal every now and again?! Now, don’t be ashamed — I do, too! So, when I moved back to Hawaii, I was dismayed to find out that some of my favorite fast-food chains aren’t here. 1. Chick-fil-A: Being born and raised in Georgia, I became a Chick-fil-A girl a long time ago. The chain has consistently been voted number one over and over again, and there’s no mystery why: You have great customer service, a delicious product, and (fairly) healthy choices. If you’re craving Chick-fil-A in Hawaii, head to any plate lunch joint (Rainbow Drive-Inn, etc.) and ask for a plate lunch with Chicken Katsu. The breaded and fried chicken in your plate lunch will remind you of Chick-fil-A, but it’s even better ‘cuz it comes with rice and mac salad! 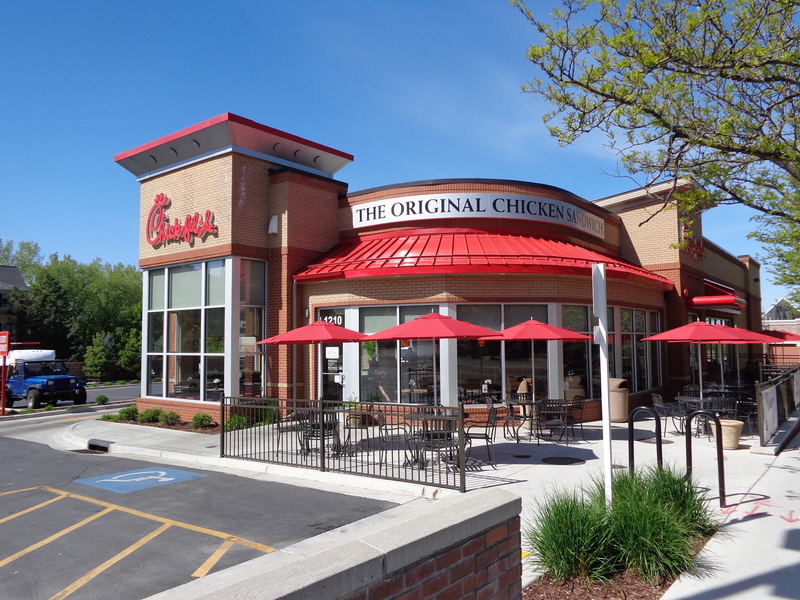 There aren't any Chic Fil A stores in Hawaii, but there are plenty of good places to try favorite local chicken recipes. 2. In-N-Out Burger: This one hurts a little — I’m a BIG fan of In-N-Out (animal style, of course), and I have yet to find a place that serves a special sauce like they do. The family-owned establishment does it right — everything is fresh, made-to-order, and delicious. Even their fries are hand-cut. When I’m craving an In-N-Out burger, I head to Teddy’s Bigger Burgers, which are located around Oahu (one is in Hawaii Kai, and another is in the Ala Moana area). There, you’ll also find delicious made-to-order burgers, great fries, and a special sauce. It will cost a bit more than In-N-Out, but it’s worth it! 3. 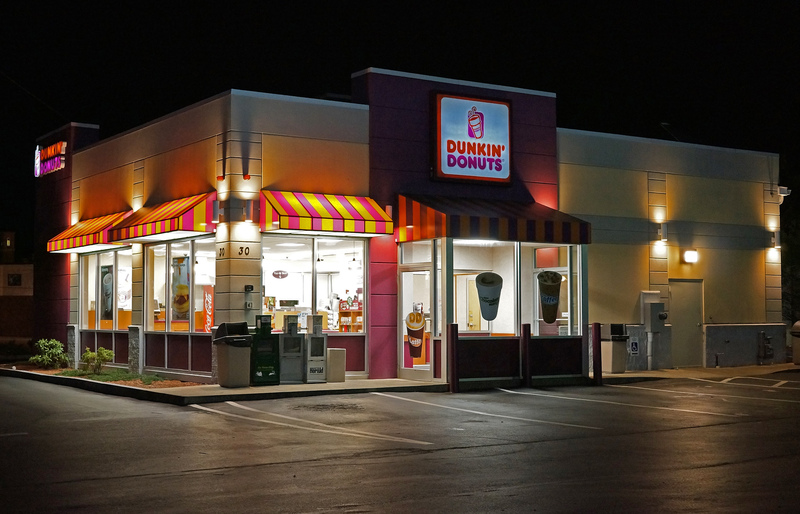 Dunkin’ Donuts: When I lived in Chicago, I was stuck and needed to eat. The only thing around was a Dunkin’ Donuts, and I thought I would give it a whirl. What a treat! I’m not a coffee drinker or much of a doughnut eater, but I tried the restaurant’s chicken sandwich and was really pleased. Everything was tasty, hot, and seemed fresh. The bad news is there are no Dunkin’ Donuts here in Hawaii. The good news is — they’re coming. If you can be patient, you’ll see DD soon around Hawaii. In the meantime, head to Zippy’s for fresh doughnuts,. 4. Panera Bread: Panera Bread may not technically be fast-food, but we’ll count it for the intention of this post. I used to love going to Panera Bread on the mainland — you could always count on a delicious cup of soup and a sandwich for a healthy meal on-the-go. Dunkin Donuts is making a comeback in Hawaii with a moe than a dozen planned locations. Here in Hawaii, head to Paina Cafe in Hawaii Kai for the same sort of menu. There, you’ll find breakfast and lunch dishes that feed the tummy — and the soul. 5. Krystal: Here’s another confession: I love Krystal hamburgers. Love them. I could eat eight of them in one sitting. But, I’ve had to shelve my love of the tiny hamburgers ever since I moved out of the South, and it’s been hard to transition. Don’t know what it is, but there’s something really nice about the steamed buns, small beef patties, and yummy condiments that makes me go back for more — and more — and more. When I’m craving a Krystal hamburger, I’ll head to The Counter at Kahala Mall and get a nice, make-it-your-way burger. It’s super-sized compared to Krystal, but still hits the spot. It’s not Hawaii fast-food per se. But, it’s still fast. And, it’s always important to remember that, while you’re in Hawaii, you SHOULD go without your favorite fast-food. Instead, try some of the local cuisine and consider booking an Aloha Plate Tour, during which Lanai Tabura will take you on a wild Hawaii cuisine ride! But, if you HAVE to have fast-food, check-out our Hawaii alternatives. It may not be EXACTLY what you’re craving, but it may just be better!